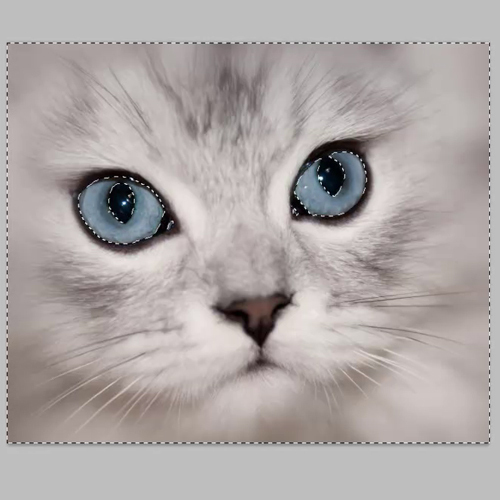 A fun technique in Adobe Photoshop is to know how to change the eye color in a photograph. This is an extremely easy and simple technique to learn. It will also spice up any boring photograph or portrait. In this Photo Retouching tutorial you will learn this very technique using a Color balance layer. This effect adds color so it looks more natural instead of just painting color over the eyes. 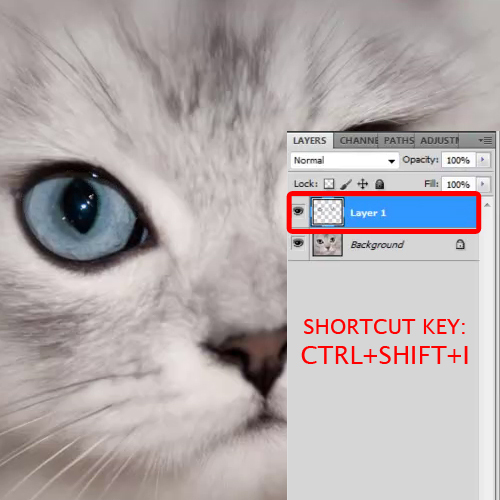 Follow this tutorial to learn how to change eye color in Photoshop easily. We will be working on the image of a cat here. 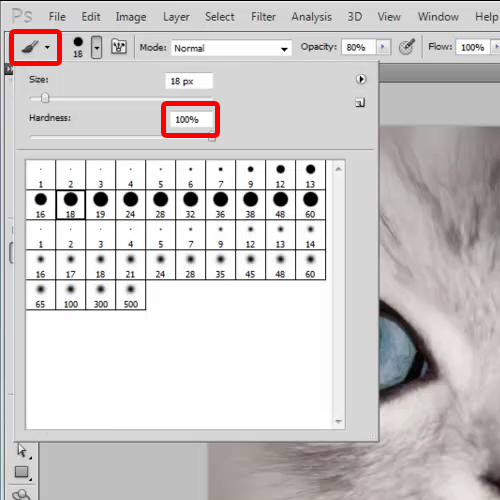 Pick up the “brush tool” and adjust the hardness of the brush to 100%. Make selection around the eyes. Now press “Q” on the keyboard to activate the quick mask mode. Now the current layer in the Layers palette is grayed out, which means that in this mode, the tools and commands used only affect the quick mask and not the image itself. 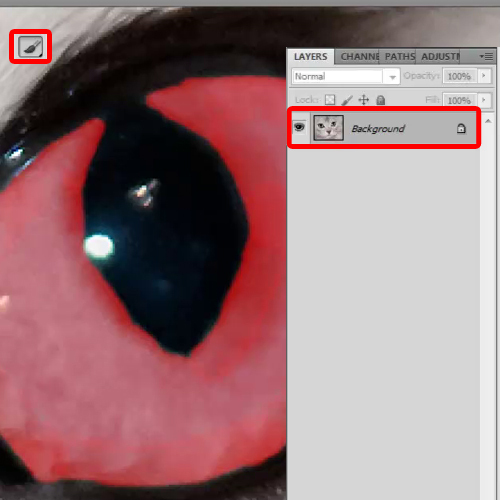 To change eye color in Photoshop zoom in the image and start applying the brush over the eyes. It is important to be careful while using the brush over the image. The red overlay indicates the selected areas. Once done, press “Q” on the keyboard and the mask will turn into a selection. The selection includes the whole picture, save for the areas covered by the mask. To invert the selection, press “CTRL SHIFT I”. Now copy and paste the selection onto a new layer. 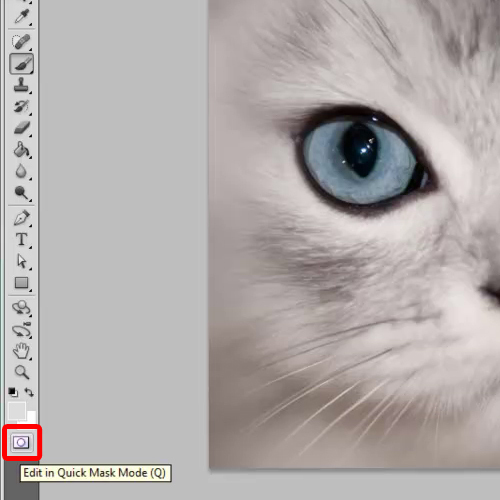 In the end of this Photoshop retouching tutorial we will change the color of the layer. Press “CTRL B” to open up the color balance window. Here you can change the color levels of the newly created layer. 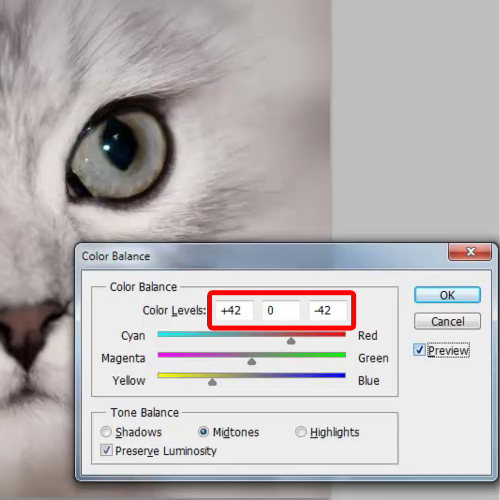 For example, in this tutorial we have changed the color levels to “+42”, “0” and “-42”. You can see how the color of the eyes has changed once we change the values.